We’ve all had bad hair days—be it hair that won’t curl or is way too curly, a cut that won’t grow out fast enough, or a do that just feels like an absolute don’t even after hours of pinning and spraying. But we have good news for you. Inside [title] are killer tricks and tips on having amazing hair every day, from the best cut for your lovely locks to simple-yet-stunning updos and gorgeous styles, and even the secrets guaranteed to make your hair behave. Whether you want to throw the best birthday bash ever or you’re dreaming up a just-for-fun sleepover extravaganza with your friends, Faithgirlz! has you covered. 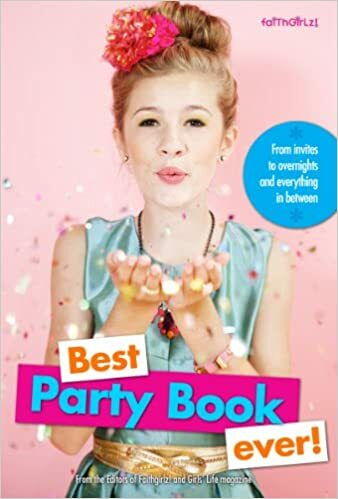 Packed full of creative and crazy-fun ideas, this book contains everything you need to know to plan fifteen great get-togethers from start to finish. From holiday parties to secret garden soirees, cookie bake-offs for a cause to “glamping” slumber parties, you and your BFFs will get detailed how-tos and plenty of tips for designing cute crafts, décor, munchies, and more. 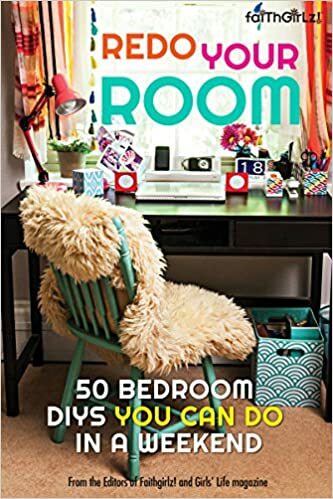 Whether you’re looking for an all-out room redo or a few new tricks to brighten up your space, this book has tons of easy how-tos and quick DIYs that'll morph your room into a true expression of y-o-u. Give your walls a burst of color (even without a bucket of paint!) and turn your fave pics and keepsakes into inspiring art. These floor-to-ceiling secrets help nix those piles of clothes decorating your space in favor of awesome add-ons, like mini murals and a magical ribbon chandelier (psst: we won't tell anyone it took you a half hour to whip up). 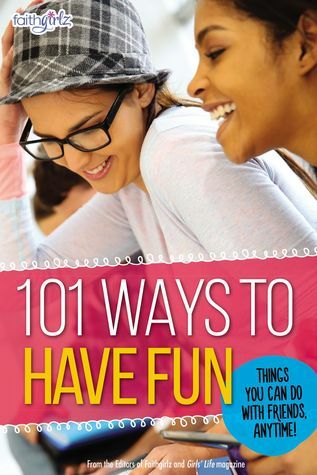 From planning the perfect relaxing afternoon to creating quick and awesome DIY masterpieces, and even tips on hosting amazing sleepovers (complete with lip synch battles and the best-ever snacks), 101 Ways to Have Fun has something for every situation and mood. Whether you have ten minutes or an entire afternoon to fill, finding the ultimate ways to de-stress and kick back with friends has never been easier! We've collected our best advice to help you take charge and feel confident in a variety of situations, from changing a bike tire to talking to your teacher about a bad grade, from being threatened by a bully to falling down the stairs at school. What do you do when you’re at a party and you don’t know anyone? What’s the formal way to set a table (and why does it matter)? This random collection of problem-solving strategies helps with everyday stuff, big and small. 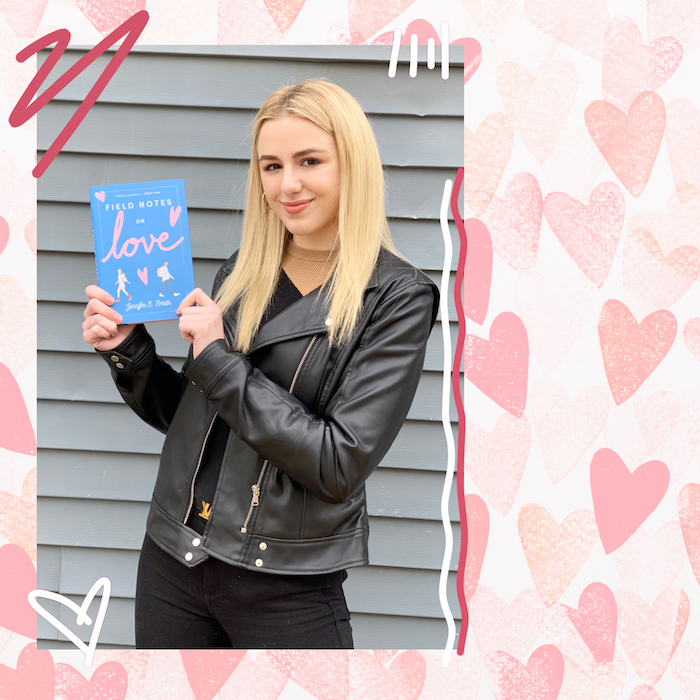 With tips, advice, and lots of humor, this is a book every girl needs. 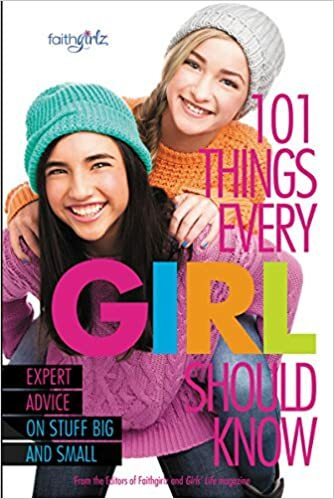 The essential guide to growing up for girls! 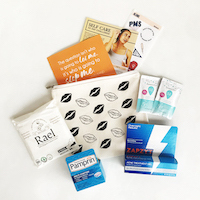 Covering everything from periods, deodorant, bad breath, smelly feet, hair, braces, acne, and bras, to eating right, staying fit, and everything in between, Girls' Life delivers the body basics. 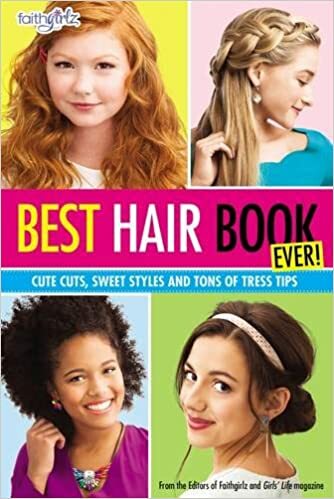 Complete with tips, quizzes, Q&A's, embarrassing moments, how-to's, mythbusters, letters, and lots more to help every girl look and feel fabulous inside and out. Decision, decisions. How do I get my crush to notice me? How will I tell my parents I don't want to play soccer anymore? What should I wear to my best friend's birthday party? Should I take French or Spanish? How can I go to summer camp and not get homesick? Get the answers you need and say good-bye to stressful situations. Why does it seem so hard to get along with everyone? 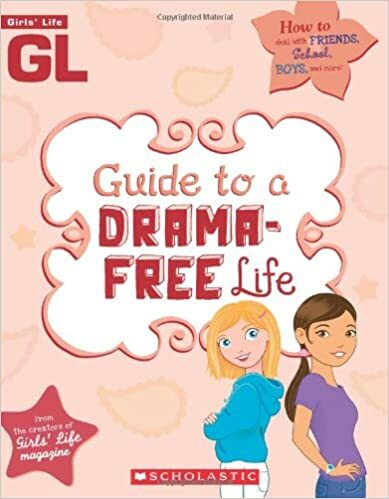 It's practically impossible to avoid having some drama in your life, but this essential guide will help by giving you the best relationship advice on how to deal with friends, family, parents, teachers, coaches, boys, and more. Learn how to not sweat the small (and big) stuff! Welcome to middle school! These few years can be full of surprises. 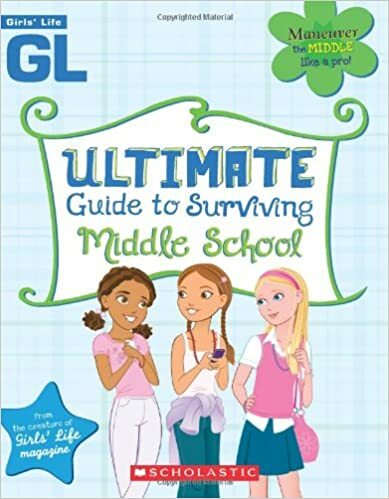 Some of them may be awesome while others may be a bit scary, but not to worry: This book has answers to all of the questions every middle school girl wonders about from what to expect on the first day to dealing with friendships, teachers, upper classmen and guy drama. Ever deal with sibs who drive you crazy? Battles with your best bud? Heart-breaking crushes? A bod that seems to have a mind of its own? Tough stuff at home? The editors of Girls' Life have rounded up the best growing-up advice there is and put it all into one place. 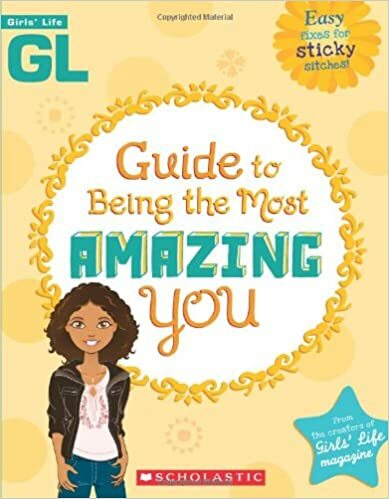 Fellow girlhood survivors share honest tips and offer real-life solutions to just about every growing-up problem you can think of. From the silly (but not to us!) 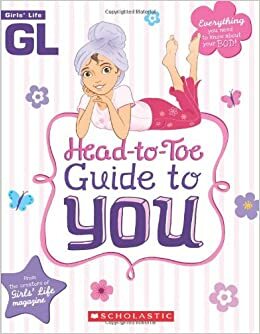 to the serious, this book helps girls navigate the tricky waters of girlhood with their sanity, self-esteem, and sense of humor intact.